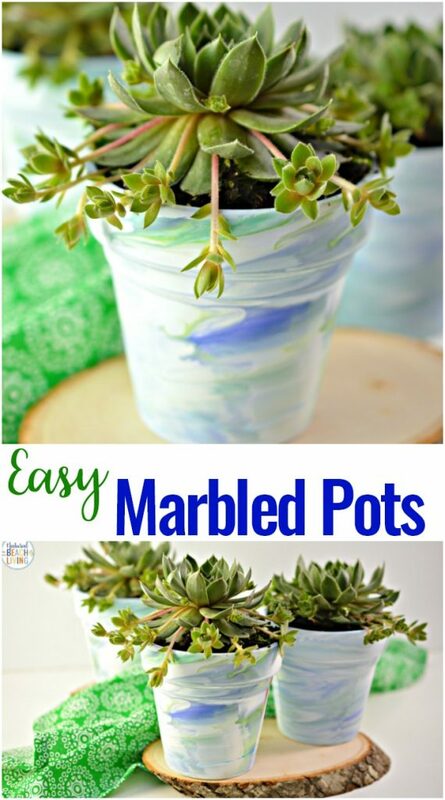 These Marbled Pots are AMAZING and perfect for a garden art project for kids. Now that spring is here, we are all about garden crafts and fun ideas we can do outside. 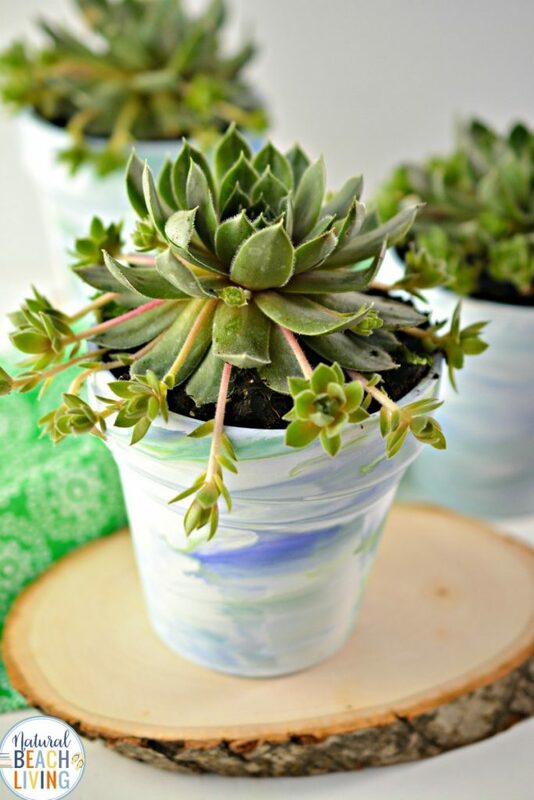 whether you gather up your old terracotta pots to update or purchase a few new ones this art project brings joy to everyone. 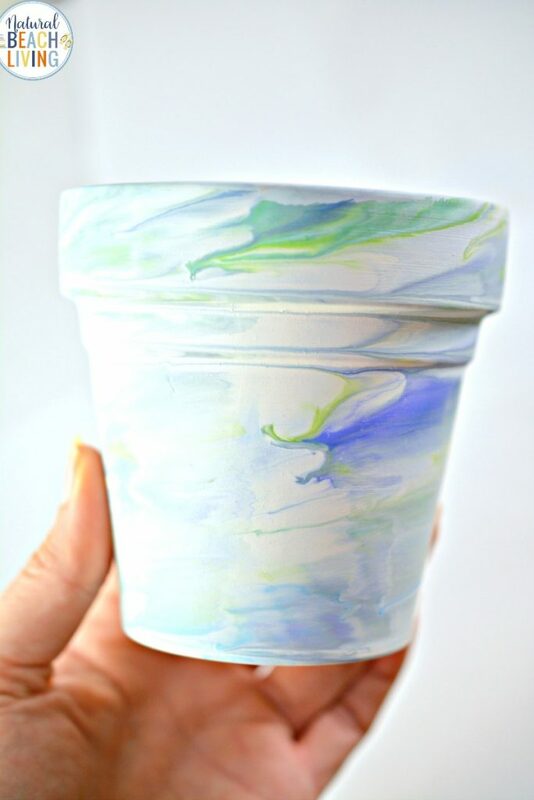 For this spring activity, I thought we would combine a couple of our favorite things, art and nature, to create these tie dye flower pots. This garden project is fun and simple, but the final results are gorgeous and bring beautiful colors to your average ceramic pot. 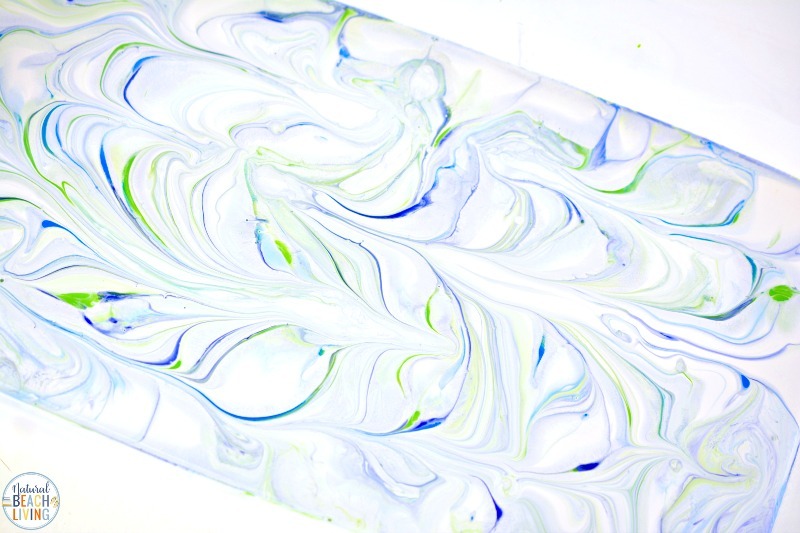 If you haven’t heard about water marbling, then this is the time to try out this fascinating painting technique. 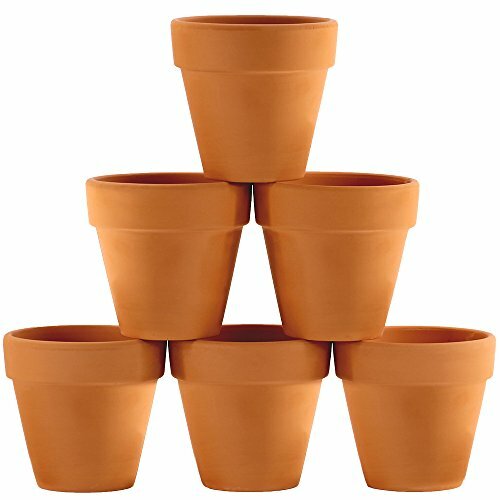 All you need are a few simple materials such as terra cotta flower pots, acrylic paint in a variety of colors and water. 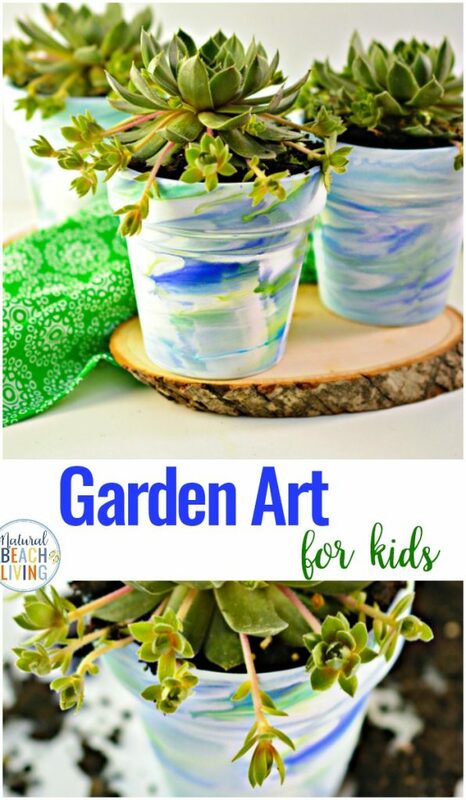 There’s nothing better than displaying your child’s artist creations, and what better way to do so by adding them to your garden or setting them on a windowsill. 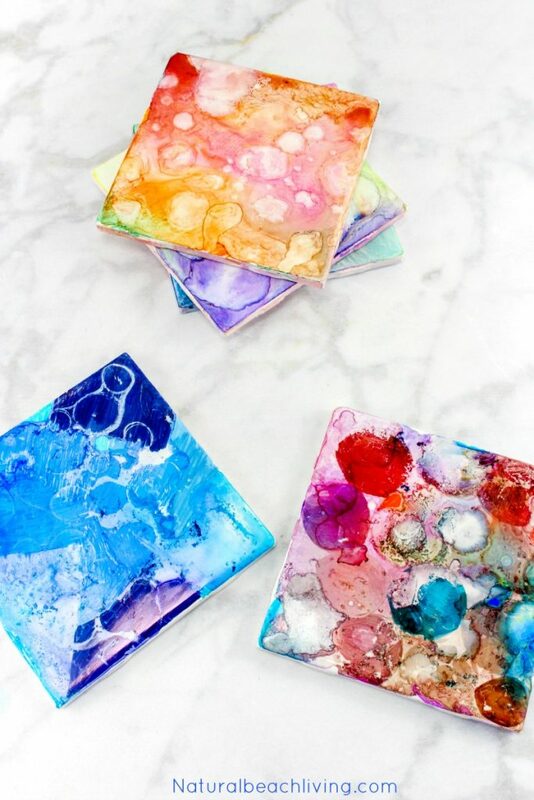 Use a paintbrush to swirl the colors around in the white paint to create different designs. Do not mix too thoroughly, or the colors will begin to become muddled. You want a beautiful swirl. 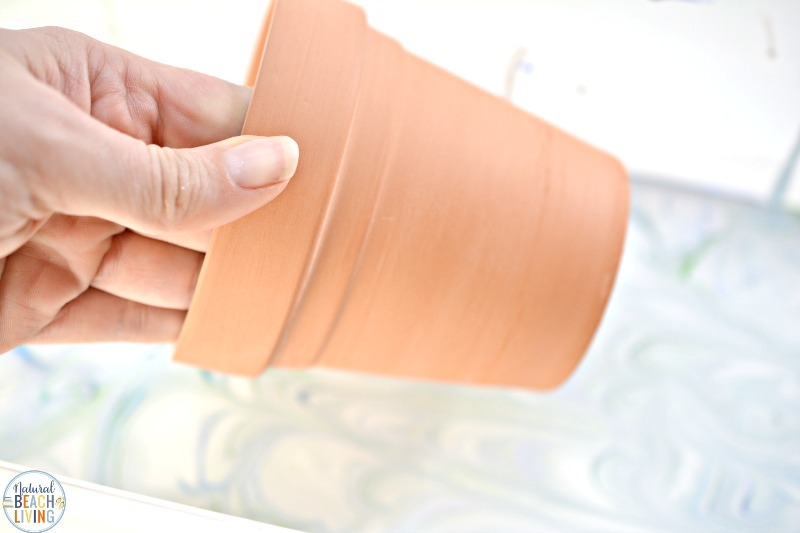 Hold the inside and bottom of a terra cotta pot, and lightly roll it on the surface of the paint in the plastic bin. You do not want to push the pot down into the paint, but instead, barely skim it over the surface, rolling it as you go. This will transfer the pretty marbled pattern onto the outside of the pot. You can check out the video to see how we made ours. What better way to celebrate the beauty of nature than with these colorful flower pots that you can put in and around your garden or house? 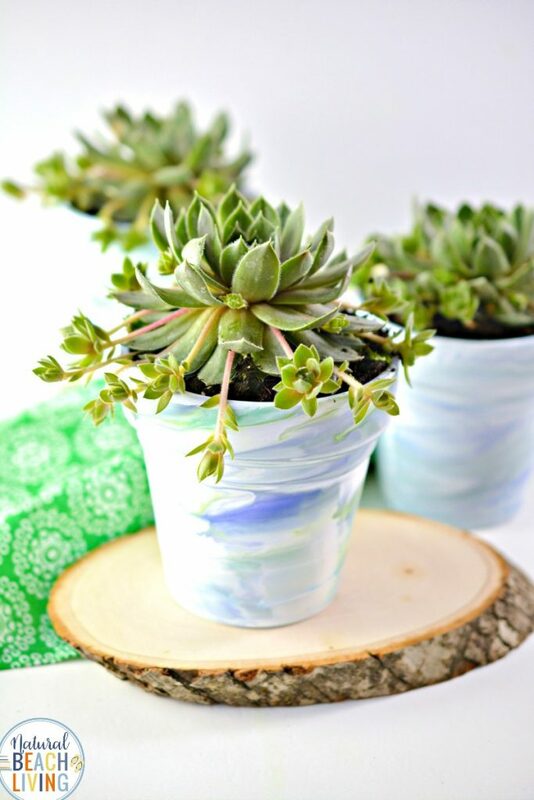 If you’re starting your garden out this spring or adding a few succulents to your house, these upcycled terracotta pots make a great Earth Day garden activity. Since we have spring, Earth Day, Mother’s Day and Easter coming up, I think this would be the perfect gift or lovely decoration. 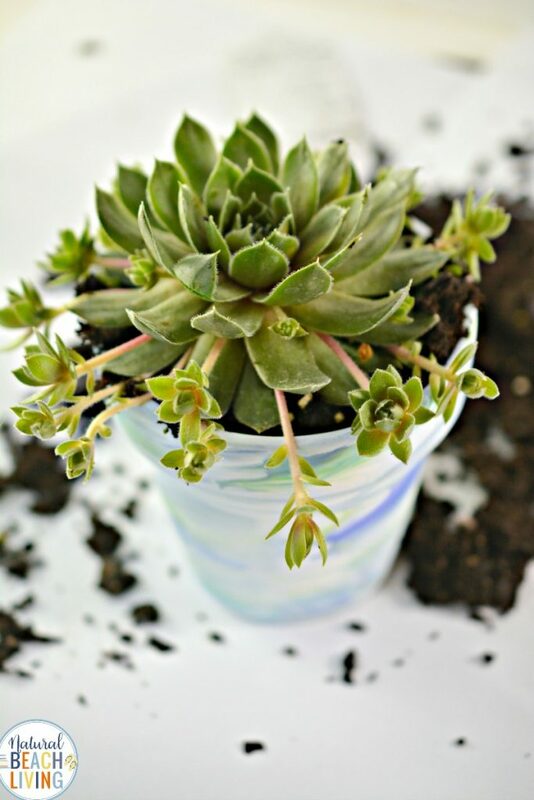 This planting crafts project is perfect for preschool, kindergarten and elementary school children. But will also keep your preteens and even adults wanting to make their own. I hope all of our ideas and activities inspire you and your children to get creative and learn about all of the ways you can care for our planet. 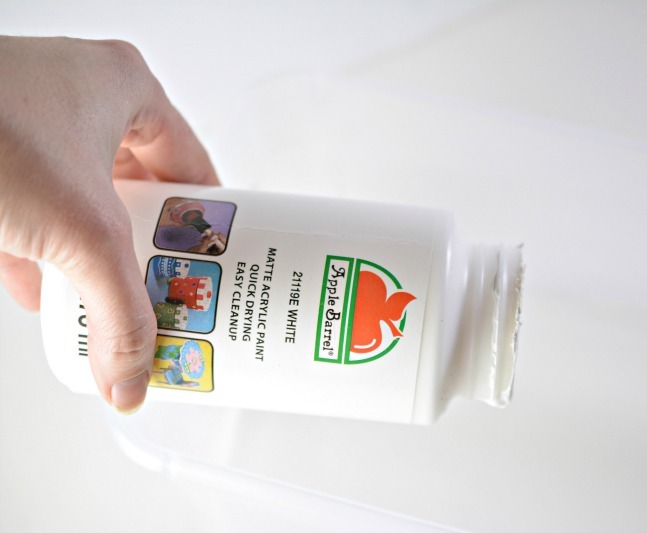 Place a layer of white acrylic paint in the bottom of a small plastic tub. Add water to the paint. 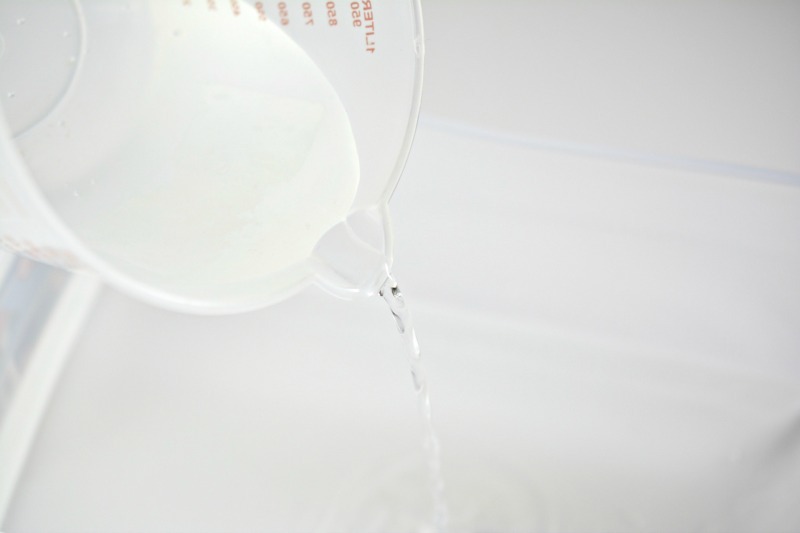 Use ¼ as much water as you did paint when filling the tub. This will create a ration of about 1 part water to every 4 parts of paint. 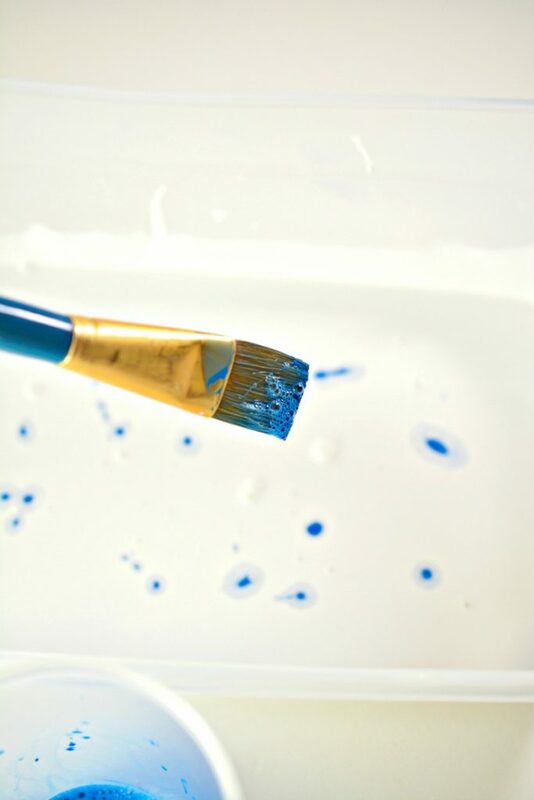 Use a popsicle stick or paintbrush to thoroughly mix the water into the white paint until it is smooth. 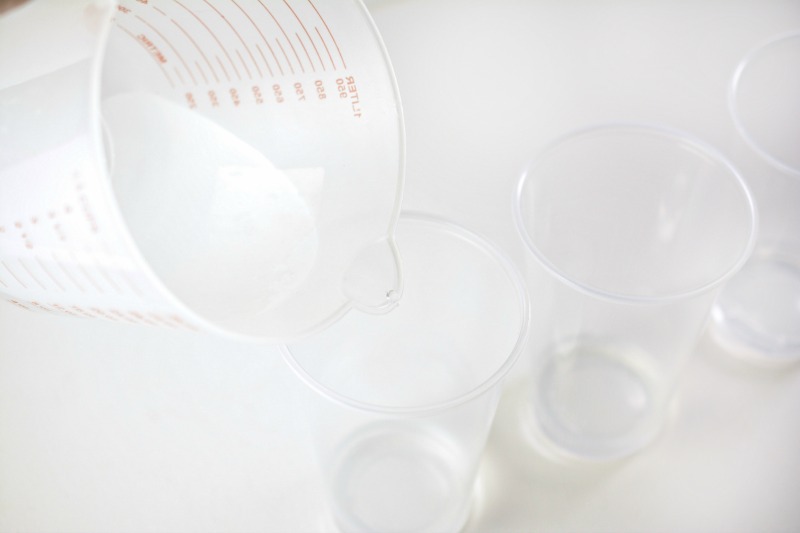 Place a small amount of water into the bottom of some plastic cups. 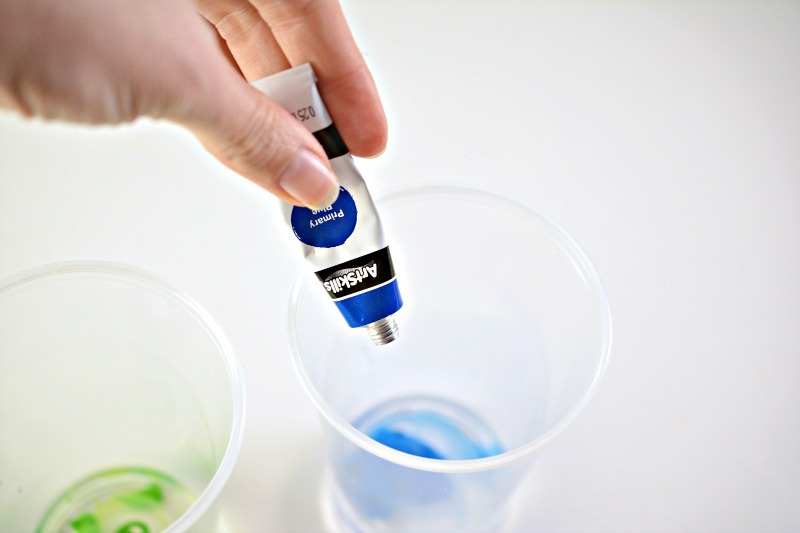 Add acrylic paint in your choice of colors to the cups with the water. Use one color of paint per cup. 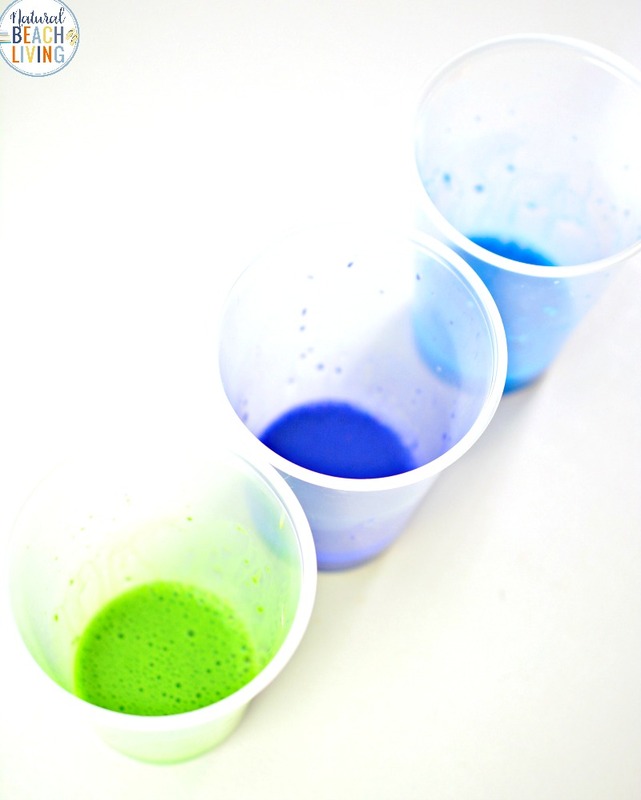 Stir the paint and water together well until combined completely. 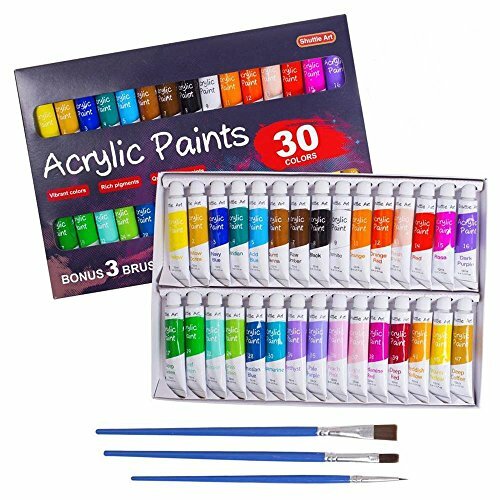 Dip a paintbrush into the watered down colored paint, and dab drops of the colored paint all over the surface of the watered down white paint in the plastic tub. 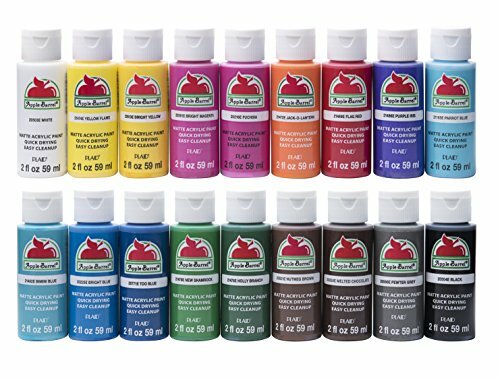 Repeat this process with all of the different colored paints. 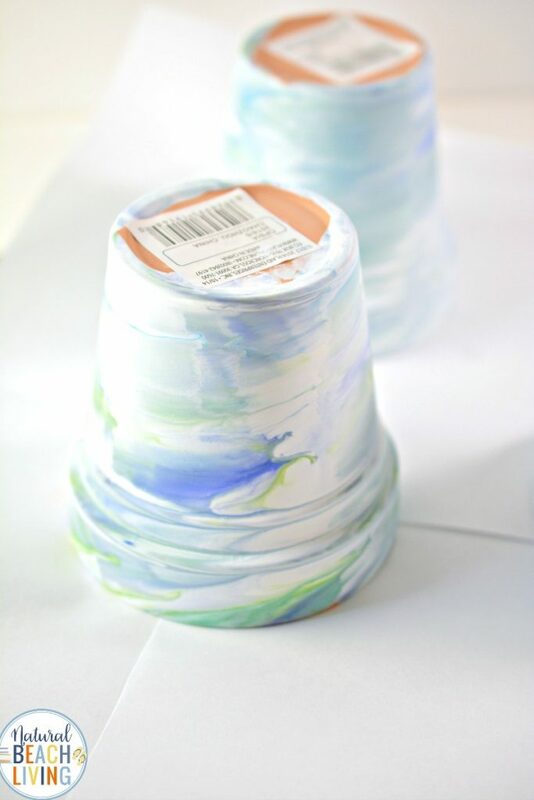 Use a paintbrush to swirl the colors around in the white paint to create different designs. Do not mix too thoroughly, or the colors will begin to become muddled. Hold the inside and bottom of a terra cotta pot, and lightly roll it on the surface of the paint in the plastic bin. You do not want to push the pot down into the paint, but instead, barely skim it over the surface, rolling it as you go. This will transfer the pretty marbled pattern onto the outside of the pot. Place the dipped pots upside down on a protected surface to dry. Flip them over when the bottom is dry, and touch up any spots around the rim of the pots. 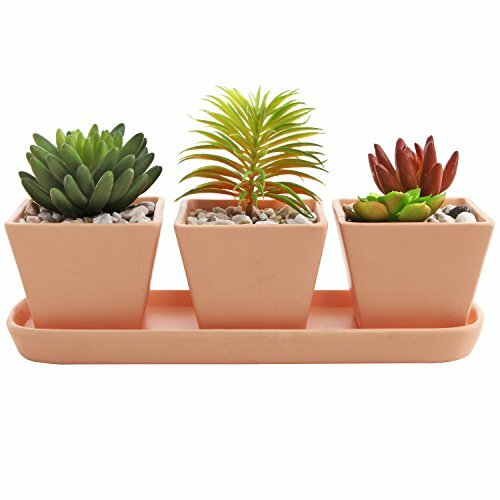 Fit the pots with potting soil, and plants or succulents of your choosing.